[Evening Standard] David Cameron was today told by the country’s top airline boss to “sort out” the chaos at Britain’s borders or face losing billions of pounds in business and tourism revenues. Willie Walsh, head of the Inter-national Airlines Group, which owns British Airways, Iberia and Bmi, said delays at Britain’s major airports had worsened significantly because of cuts and poor management and had now reached “unacceptable” levels. He said business chiefs were shunning Britain as a result and that it was pointless for the Prime Minister to travel round the world proclaiming that Britain was “open for business” when visitors were treated badly on arrival. Mr Walsh’s attack came as passengers reaching Heathrow complained of being treated like a “bunch of slaves” after waiting up to three hours with passport control desks unmanned. Some complained of spending longer in immigration queues than on their flights and of being left without food, water or adequate assistance. Others said they were “never coming back” because of the “nightmare” delays. The problems add to mounting anger about queues that left thousands of travellers, including Formula One teams and TV historian Mary Beard, suffering delays at Heathrow this week. Immigration unions have fuelled the concerns by claiming waits of up to five hours are happening daily at airports and passengers are being “kettled” to cope with the queues. In an interview with the Evening Standard, Mr Walsh said the problems were inflicting economic damage on the…..
Read the full interview at The Evening Standard….. 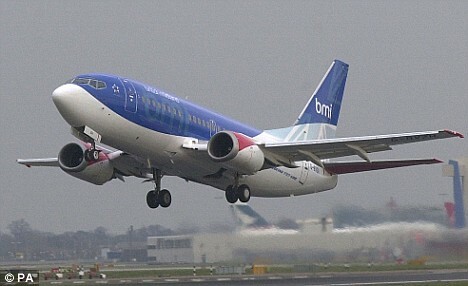 The new owners of airline BMI have confirmed they will close their base at Belfast City Airport. Sixty customer service employees are being issued with redundancy notices. Around 40 cabin crew and engineering personnel will have to commute to London to stay employed. 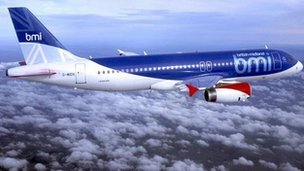 BMI currently operates out of Belfast City Airport with daily flights to Heathrow, which have not been affected by the deal. IAG bought BMI from Lufthansa in a £172.5m deal last year and said at the time jobs could be at risk. Davy McMurray, from the union Unite, said:”We’ve got no information from the company. Read the full story at UTV Live News…. (Aeronoticias.) – The Lufthansa group returned almost double the profit of that acheived by the IAG group airlines, Iberia and British Airways and triple that recorded by easyJet last year in terms of operating profit, this is according to a report from Eurocontrol, which shows the impact on the airline market of consumer uncertainty and high fuel prices. The ranking of European airlines by operating profit is headed by Lufthansa who last year earned 820 million euros, representing 20 percent less than tha returned in 2010, a drop they attribute to the losses at Bmi. Second in the table is the IAG Group which last year doubled its operating profit for the year 2010 to achieve 485 million euros, according to Eurocontrol this is due to the success of the newly combined group of British Airways and Iberia under IAG. EasyJet is the third airline in Europe to have managed to close 2011 with a profit of 297 million, 72 million more than in 2010, as recorded by the report by the European body. Ryanair does not feature on the table because it has a different fiscal year. On the opposite side are Air France-KLM, SAS and Air Berlin all who closed last year in the red. Specifically, the Franco-Dutch airline reported a loss of 353 million euros in 2011 compared with 28 billion gained in operating profit the previous year. Despite having managed to reduce their losses by almost half compared to 2010 the SAS Group also closed 2011 in the red, posting losses of 185 million euros. Air Berlin finally ended last year with an operating loss of 247 million euros versus 17 million that was left in 2010. The German company attributed the losses to the rising oil prices and the introduction of the German tax on aviation.